Brown Sugar Bourbon Bacon: Preheat oven to 350°F. Line baking sheet with non-stick tin foil or parchment paper. 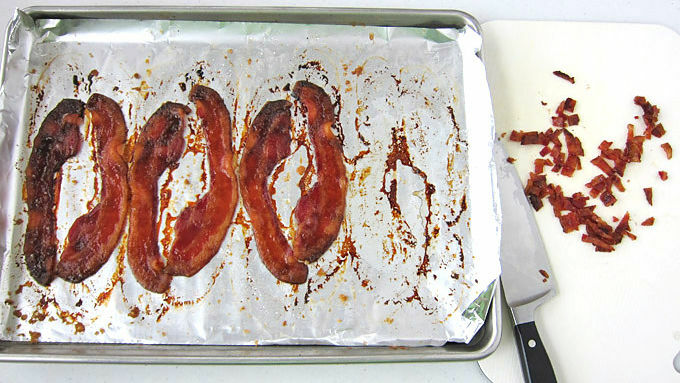 Lay strips of bacon on lined baking sheet. Use a pastry brush to brush bourbon over slices of bacon, then sprinkle brown sugar evenly over each slice. Bake for 25-30 minutes, until bacon is evenly cooked and crispy. Remove from pan, set on a paper towel, and allow to cool for 10 minutes. Finely chop bacon once cooled. 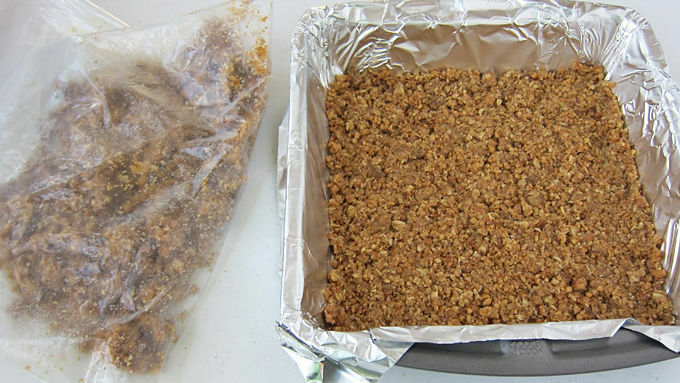 Crust: Crush granola bars into very small pieces. Combine crushed granola bars with butter and sugar. 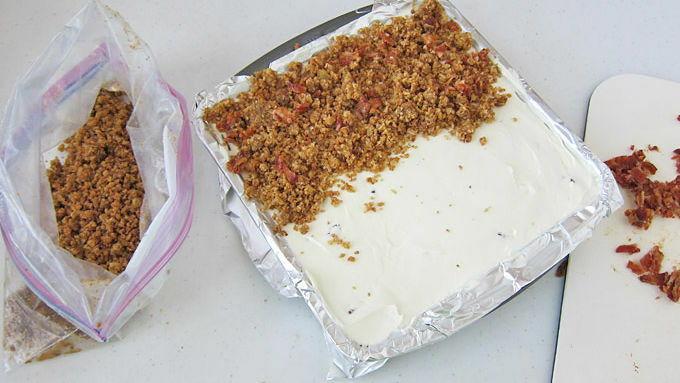 Pour half of the crumbs into the bottom of an 8x8-inch pan that has either been lined with non-stick tin foil or buttered well. Reserve remaining crumbs to top the filling. 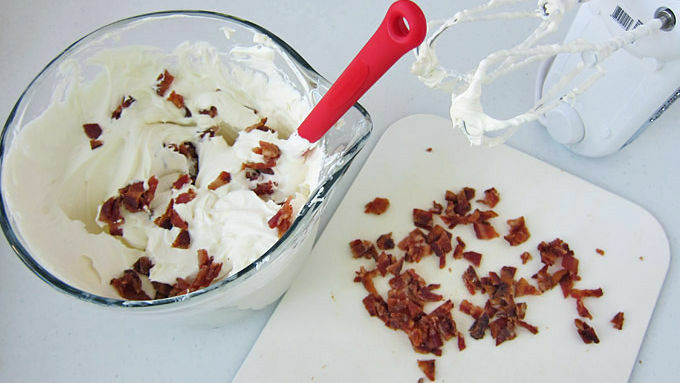 Filling and Assembly: Beat together cream cheese, sweetened condensed milk, whipped topping, almond extract and bourbon. Stir in 2/3 of the chopped bacon. Spread over the crust. Sprinkle reserved crumbs and remaining bacon over top. Cover and freeze for at least 3 hours before serving. 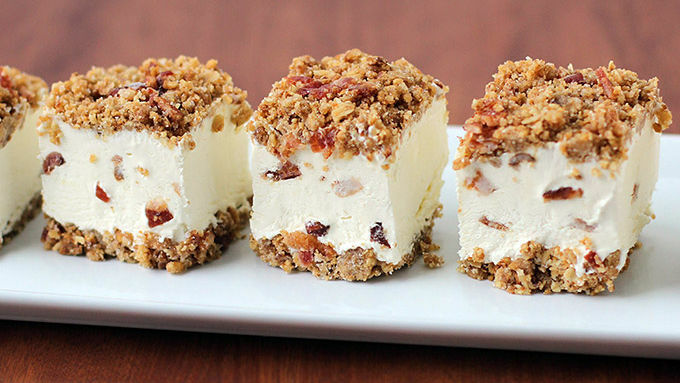 Frozen crunch cakes are decadent desserts that are really easy to make. 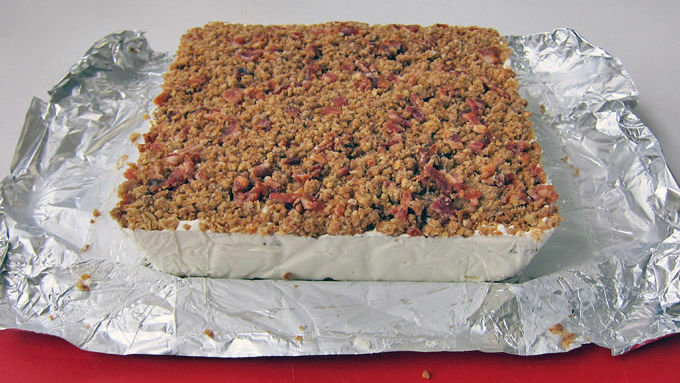 We have other crunch cake recipes including S'mores, Peanut Butter, Strawberry, Caramel Apple, and Candy Cane, but this Bourbon Bacon Crunch Cake is a great introduction. I mean, come on, there's brown sugar bourbon bacon speckled throughout the creamy frozen cheesecake filling and sprinkled on top of the granola bar crust. It's a party in your mouth! My family could not get enough of this dessert. I brought it to a family function during the holidays (along with other desserts) and this is the one that everyone talked about all night. It's that good.